I love crafting! Don’t you? For me, it gives me such a great excuse just to play with colour and any bits and pieces that I can lay my hands on in my craft room. 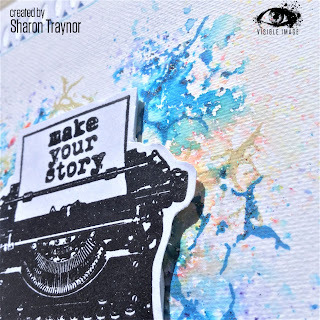 So this week I’ve been playing with some more fabulous Visible Image stamps, brushos, stamping on brushos and creating a distressed look with some embossing glitter – and by that I mean that the glittery elements are not solid but more patchy. 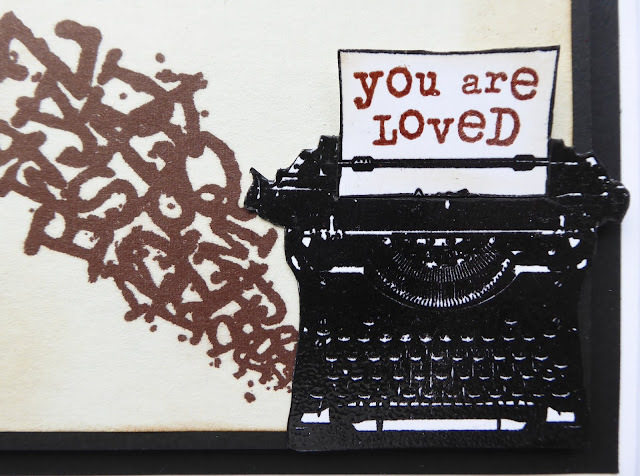 These brusho colours make such an interesting background for the brilliant typewriter, don’t they? And the loopy border at the top makes it look like the background has been ripped out of a spiral bound notebook too. It’s been a little hard to capture the glittery elements in the photos, but if you click on the photos and look at them when they are larger you should be able to see bits of the glitter embossing. So how did I make this? First, wet the water colour card and sprinkle a tiny bit of brushos on. If the brushos don’t move enough, use the smallest amount of sprayed water to help them along. Dry with a heat tool. 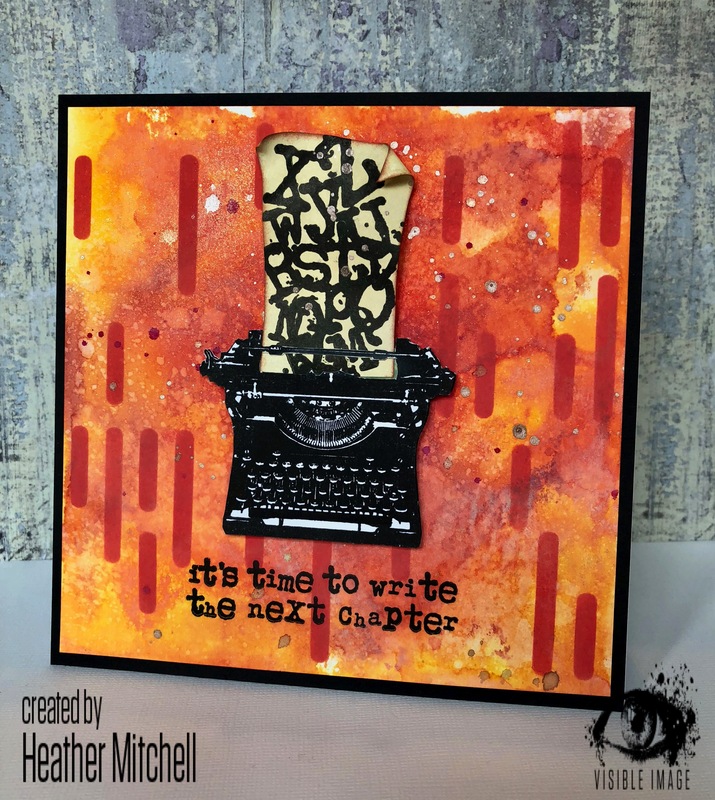 Stamp the ‘cracks’ in distress ink and emboss with embossing glitter. The large cracks were stamped with salty ocean then heat embossed with clear multi sparkle embossing glitter. The small cracks were stamped with antique linen and heat embossed with clear sparkle embossing glitter. 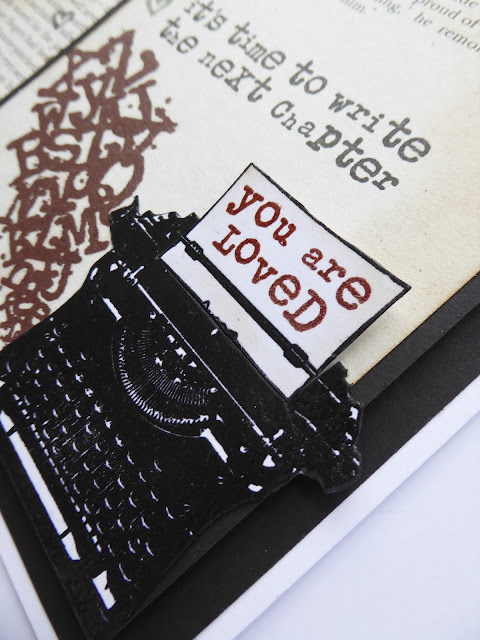 Stamp the typewriter with black ink and heat emboss with clear embossing powder. 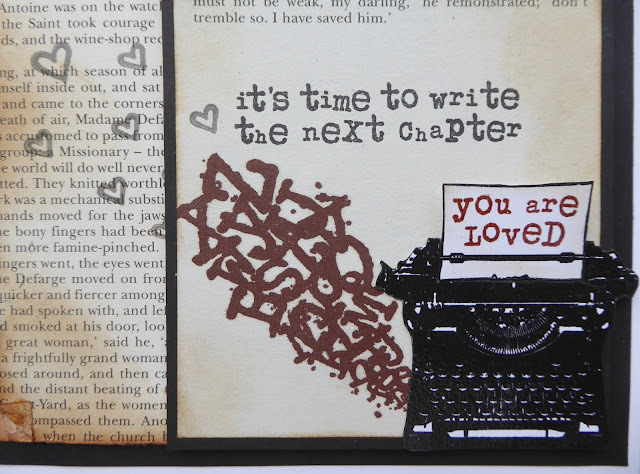 Mask each word in the sentiment separately and stamp onto the typewriter paper part with black ink then clear emboss. Fussy cut the typewriter image. 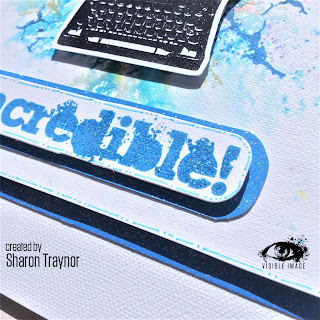 Stamp the word ‘incredible’ with salty ocean distress oxide onto a scrap piece of card and heat emboss with clear sparkle embossing glitter. Punch out a loopy border and attach it to the top of the brusho piece of card. 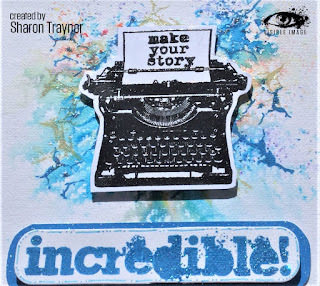 Cut pieces of blue glitter card to fit as mats for the brusho background and the ‘incredible’ sentiment, and then back these and the typewriter with fun foam. TIP: cut the middle of the glitter card mat for the background so that the foam on the back of that piece can be adhered directly onto the card blank. Glue the large blue mat and background to the card blank, attach the brusho piece on top (so that the glue/tape runner sticks into the gutted piece and directly onto the card blank. 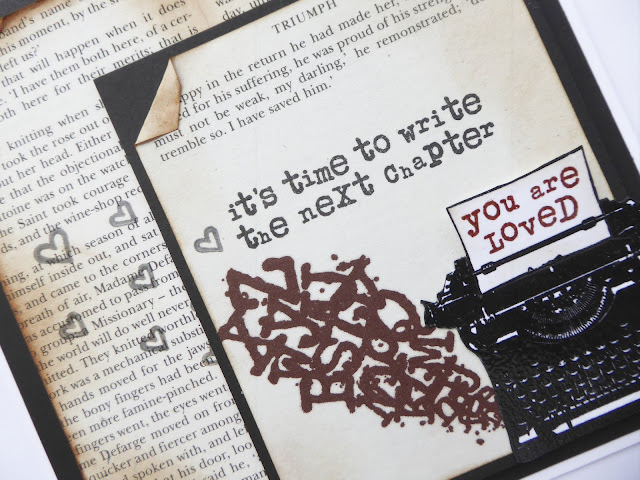 Attach the typewriter, then the blue mat for the sentiment, and finally the sentiment. Draw a random dot/dash pattern around the main image panel and the sentiment. Papermill Direct white hopsack card, brushos (cobalt blue, orange), distress spritzer, distress oxides (salty ocean, antique linen), WOW! embossing glitters (clear sparkle, clear multi sparkle), Versafine onyx black ink, Ranger superfine clear embossing powder, fun foam, blue pen, border punch (an old Martha Stewart one). We hope you have a really great day! Thanks for visiting our blog!